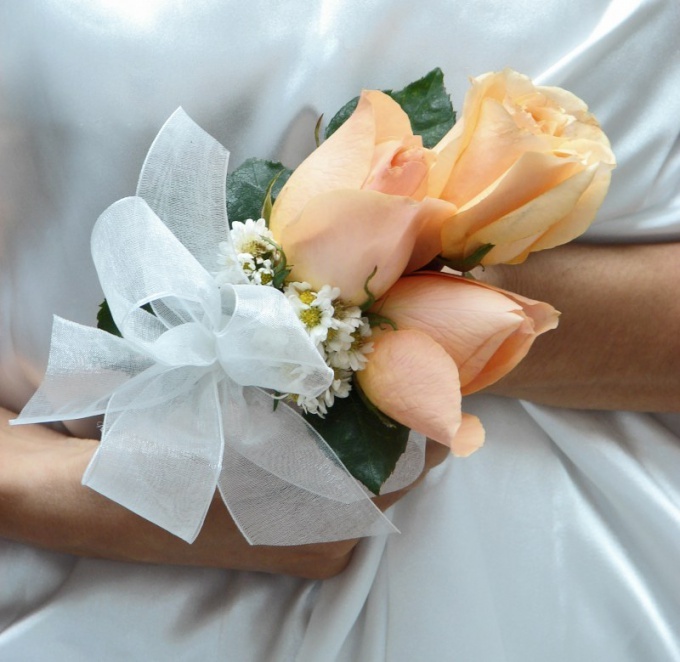 Traditionally, the wedding day, the bride throws the bouquet of my unmarried friends. This beautiful custom has come from time immemorial and was present at various times in many cultures. With the bride's bouquet always done in different ways. 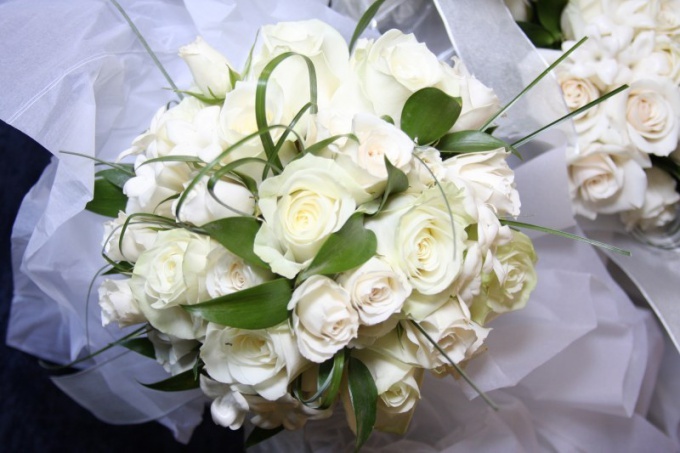 The bride's bouquet is an important symbol of the wedding ceremony. This expression using colors of sincerity and the completeness of feelings of the groom to his beloved. The groom chooses the flowers for the Bridal bouquet personally, trying to pick them up not only to a wedding dress and external appearance of the bride, but also to emphasize the dignity of his beloved, perfectly to highlight her character. The groom typically helped by experienced florists, and sometimes the bride herself. The prevailing custom, the groom presents the bouquet to the bride immediately after the redemption of the future spouses. The fact of making her wedding bouquet from him once again confirms her consent to marry him. During the ceremony the bouquet is in the hands of the bride. When it was over, she turned back to the guests, throws his unmarried friends. According to the sign, the one that caught this symbolic object, soon to be married. Caught the Bridal bouquet she will keep until her own wedding. The tradition of the bride to give her bouquet to her friends has deep roots. In the middle ages in Europe were usually torn off the flap of wedding dresses in the hope that it will become the mascot and will quickly marry its owner. After the wedding dress has turned into an expensive and luxurious outfit, they began to cherish and bequeath. Flap was replaced leg garter, and later turned into a bouquet. In Russia your bouquet after the wedding, the bride gave the "happiness" of my unmarried friends. For this she was blindfolded, and the girls, vadamee around her dance, was expecting when she randomly will give flowers of any of them. Currently, many couples do not want to make a lot of noise around this tradition. It is either omitted entirely, and the bride cherishes her wedding bouquet or the couple orders a bouquet understudy especially for unmarried friends. Here are used a variety of techniques and experience florists to provide basic security during the throwing of the bouquet friends: cut off the spikes, use other flowers, woven artificial materials. Sometimes wedding bouquet after the wedding the bride gives away her friends in the flower, but for the most part wedding bouquets kept as a relic, because it was a gift from the spouse on the wedding day, keeping his love. If you are the lucky winner of the bride's bouquet, and it is made of natural colors, you zaschite him with bowed heads down in a dark and warm place. After it dries, make a wish about their own future wedding, search for a secluded place and wait. Artificial bouquet will remind you of the wedding of a friend, an interesting custom and your desire. It can be placed, as I taught ikebana, choosing the right place.